Father McKeon was removed from ministry in 2001 following accusations that he had molested young boys. According to Newsday, McKeon had told the pastor of his first church that he had acted “inappropriately” with a teenager nearly twenty years before he was removed from ministry. McKeon apparently molested at least six others and attempted to molest several more, according to two attorneys that represent their families. McKeon was reportedly removed as pastor after a parent from the Church of the Good Shephard in Holbrook complained to the Diocese in 1998. McKeon was subsequently sent to a treatment center in Canada, was reassigned to Nassau University Medical Center upon his return and was allowed to perform Mass at St. Anne’s in Garden City, according to Newsday. Two more parents allegedly approached the Diocese before McKeon was finally removed from priestly duties. 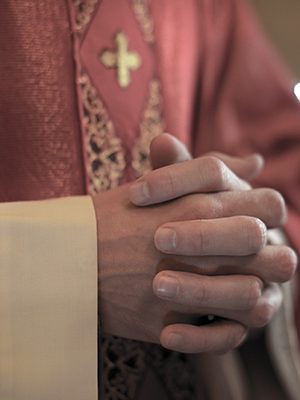 McKeon is allegedly identified as ‘Priest C’ in a Suffolk County Grand Jury report, which details Priest C’s abuse of children during his assignments within the Diocese.